Circumstances involving disability, mental health, aging and caregiving are complicated. 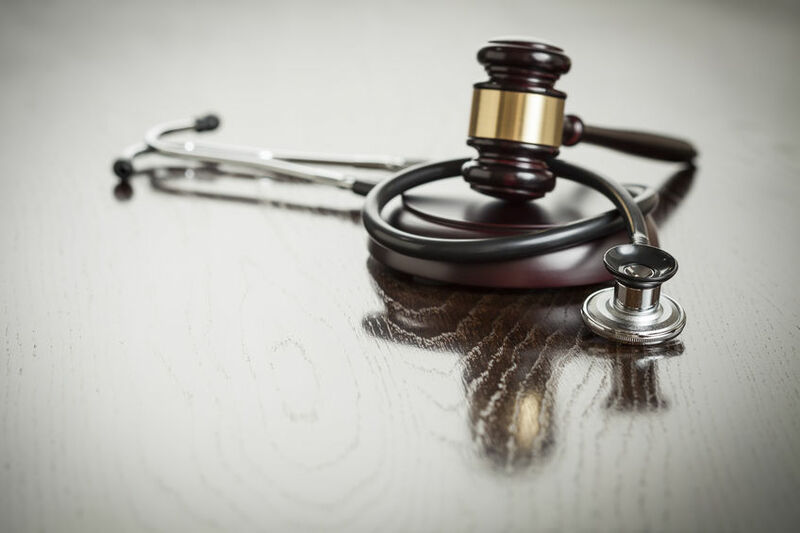 Individuals and special needs families face dilemmas with ethical or moral implications and those situations extend far beyond whether or not to have a DNR (Do Not Resuscitate order). My daughter, Carly, is just weeks shy of 21 years old and she has Angelman Syndrome. Our family, and many others, face challenging decisions every single day. Many of our questions and decisions test our confidence, our faith and our sense of inner peace. For example, we have questions about whether we might be over-medicating Carly’s anxiety or her problems with sleep. There is pressure to enroll her in research studies and drug trials. We have interest in supporting medical research for her very rare disorder, but worry about whether that research will utilize embryonic stem cells or involve other factors that don’t fit with our values. We also spent years praying and pondering whether to see if medical cannabis could benefit Carly. Carly and her friends in medically or developmentally complex circumstances need reliable values along with extended families, churches and communities who will support and advocate for them in a world that is moving toward moral collapse. But our culture is changing rapidly. The world shows partiality and our friends with disabilities are vulnerable. The world makes decisions based on values like happiness, ease, efficiency and economics. The world says God’s ways are impractical and outdated. We feel entitled to notsuffer. God’s word and methods show us another way. Why do we need this conversation? Let’s spur each other on to consider God’s value of each and every person — their inherent worth, their dignity and their purpose in His hand. Let’s learn together and help each other make life-lifting decisions throughout the seasons and circumstances of life. During our youth, many of us were counseled to establish clear boundaries for purity in dating before marriage. Knowing our values and goals beforegoing on a date set us up for greater follow through toward godly and satisfying decisions than if we had waited until an emotional moment or were under pressure. The same approach has potential here. Personal values are not enough because those tend to shift and change with time. Biblical principles are reliable because they are based on the unchanging truths of scripture, God’s character and His covenant promises. God’s principles remain the same yesterday, today and forever. We can go about enjoying our lives resting on the unchanging foundation of these principles and access them at any moment they may be needed. We can’t anticipate every situation ahead of time but a biblical plumb line is freeing and peace-giving.It is are not subject to the emotions, whims or pressures of a given moment. The bible doesn’t hand us a checklist of specifics though. It gives us anchoring standards to shape our thinking, choices and behaviors. It leaves just enough room to keep us reliant on prayer and discernment through the Holy Spirit. Without that, we’d be tempted to just follow God’s instructions like a “rule book” without any need for personal relationship with an intimate and dynamic experience of God. And God is all about the personal relationship! The world urges us to make decisions based on “pragmatic possibilities.” We need biblical wisdom and reasoning that trusts in God’s sound principles. What would some of these biblical principles be? The fingerprints of God are on every person and circumstance. Suffering and weakness don’t negate the value of life. No matter how complex, senseless or hopeless a situation looks, every person has value and carries the image and power of Christ in them with the potential to contribute God-purposed things to this world. All of the issues that are so complicated for us are really very simple to God. If we really believe this, it changes everything about how we live!God made each of us for a purpose and is going to help us in that purpose. Disability frees a person to multiply grace. Suffering positions us to give and receive unique and good gifts of grace form our Heavenly Father. Our friends who are most dependent are most freely used by God as a means for grace. They are not inhibited by the things that constrain the rest of us (e.g., desire to make a good impression, worry about reputation). Romans 5:3-5 (ESV) Not only that, but we rejoice in our sufferings, knowing that suffering produces endurance, and endurance produces character, and character produces hope, and hope does not put us to shame, because God’s love has been poured into our hearts through the Holy Spirit who has been given to us. God is first and foremost concerned with our hearts. “God is generally more interested in changing people than changing their circumstances.” (Why the Church Needs Bioethics, John F. Kilner) A helpful guiding question: Does this decision we’re making drive us toward God or away from Him? God changes lives and churches when we engage with those who have an atypical life. We — the church, the families and the friends — need to get engaged with people who have challenges, notbecause we are just really nice people. We need to get involved in messy lives because God tells us to and He uses life challenges to stretch us and increasingly form us into being like Christ. Jesus also showed us how to do this and the Word promises God will glorify Himself and give good gifts through those people and their circumstances. From a moral-ethical perspective, this principle reminds us that when we share the heavy lifting of the special needs community by engaging with their lives, they are freed to make spiritually healthy decisions rather than making decisions out of things like overwhelm, exhaustion, fear, desperation, bitterness, self-absorption and apathy. 1 Corinthians 12:22 (ESV) On the contrary, the parts of the body that seem to be weaker are indispensable. 2 Corinthians 12:9-10 (ESV) But God said to me, “My grace is sufficient for you, for my power is made perfect in weakness.” Therefore I will boast all the more gladly of my weaknesses, so that the power of Christ may rest upon me…for when I am weak, then I am strong. The questions we face about life can be rather straightforward when we sift our decisions through the unchanging lens of God’s truth, character and promises. Our decision-making has eternal implications. Biblical principles help us narrow the options and align our lives more closely to God’s good design. It is not like weighing the pros and cons in an episode of Fixer Upper or Beach Front Bargain Hunt. We may not always like the options left for us but they will ultimately be the ones that are best for us and can guarantee us peace. Our culture hates inconvenience. Jesus welcomed interruptions as Divine opportunities. The world tends to view the challenges of an adverse diagnosis as a problem to fix or something to dispose of as neatly as possible. Our circumstances can be extraordinary, complicated and often isolating. The benefits and opportunities of a Gospel-Centered framework supported in community are significant and many. What role can extended family, friends and churches play in the defense of life? FRIENDSHIP— Friends fully engage in life with each other. No matter our vocation or the role we have in someone’s life —pastor, parent, sibling or friend — we must lovingly take every opportunity to preach, teach, pray, model, counsel, make referrals, show compassion, hold each other accountable and encourage one another toward Biblical Truth. Our word will have greatest credibility when we are willing to both model Jesus’ character and engage the lives of our loved ones. Each of us is called to engage in the way Jesus engaged others and encouraged us to serve. CORPORATE WORSHIP— The value of corporate worship and Christian community cannot be overstated. Our time in the presence of God allows us to absorb the greater mysteries of our faith. It shapes our perspectives about God and His ways. It renews our mind in truth. It increases our confidence in His power and presence among us. Ultimately, it overflows in our lifestyle. CARING— A family is bolstered to make healthy decision when they know they will be supported by their community. We defend life when we come alongside caregivers. Every time we help create a supportive community around a caregiver, we extend length and quality of life to both the care-giver and the cared-for. Our practical helps, our emotional encouragement, our spiritual direction and resources undergird them and spur them on in what is otherwise a grueling slog through life. There is a serious caregiver shortage in the US and the average salary falls under the living wage. This is a reflection of what we value in American culture and it is very different than most other countries. There is great power in presence. Sometimes, it’s not so much about what a caring friend or pastor says as it is powerful to just stand compassionately alongside some facing difficulty. For example, the presence and/or advocacy of a pastor or lay leader during a Care Coordination Meeting communicates that the individual and family are valued by their community and will be protected. We want to be proactive about developing our relationships with God and others because it influences our growth in godly wisdom — the way we think and the way we live — while also equipping us with a support system, godly counsel and accountability when a crisis is faced. As we sift dilemmas through biblical principles with each other, we must boldly assert the indisputable truths and graciously discuss what is not clear. Romans 8:34 Who then will condemn us? No one—for Christ Jesus died for us and was raised to life for us, and he is sitting in the place of honor at God’s right hand, pleading for us. Please join this conversation. We would love to hear from you! What kinds of dilemmas have you wrestled with in your family? What standards or scriptures influence your decision-making? Walk Right In Ministries offers free consultations and caregiver coaching services (with sliding scale fees). Please don’t hesitate to contact us if you want to explore life, hope and practical resources associated with disabilities or caregiving. Lisa Jamieson is the author of books and Bible studies including the Finding Glory series of resources and the new children’s book Jesus, Let’s Talk. She is co-founder of Walk Right In Ministries and leads the Minnesota Disability Ministry Connection. Lisa and her husband, Larry, have been married 30 years and have three grown daughters. Their daughter, Carly, has Angelman Syndrome and lives at home with them in Maple Grove, Minnesota. You can learn more and follow her at lisamjamieson.org.